column, though fertilisation is sometimes internal. 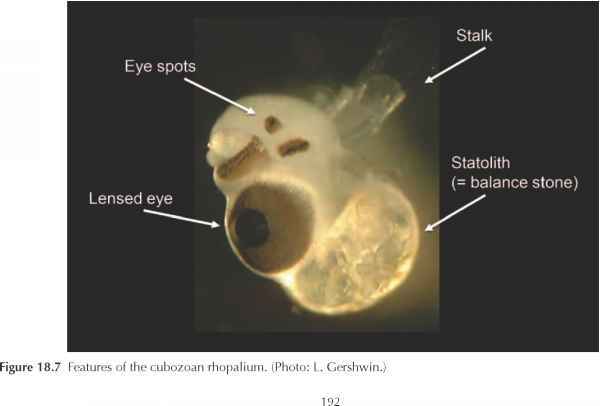 The fertilised embryo grows into a 'planula larva' stage, a tiny ciliated teardrop-shaped creature, which seeks a suitable place to settle and transform into a polyp. The polyp produces many clones, through asexual reproduction, and sometimes environmentally resistant cysts (podocysts). 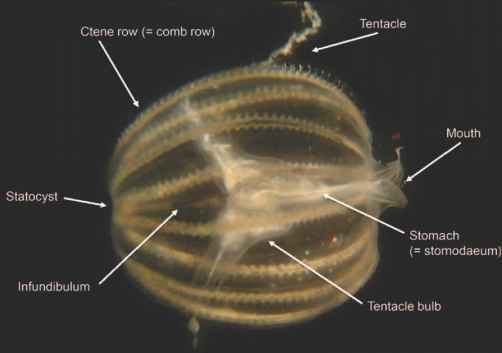 When the conditions are right, the benthic forms undergo a metamorphosis to produce many tiny juvenile jellyfish. 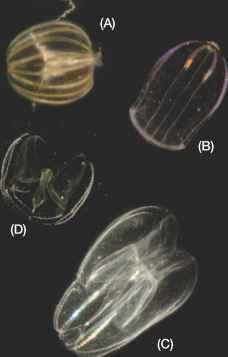 The baby jellyfish are voracious feeders on a diversity of plankton and generally grow very fast. 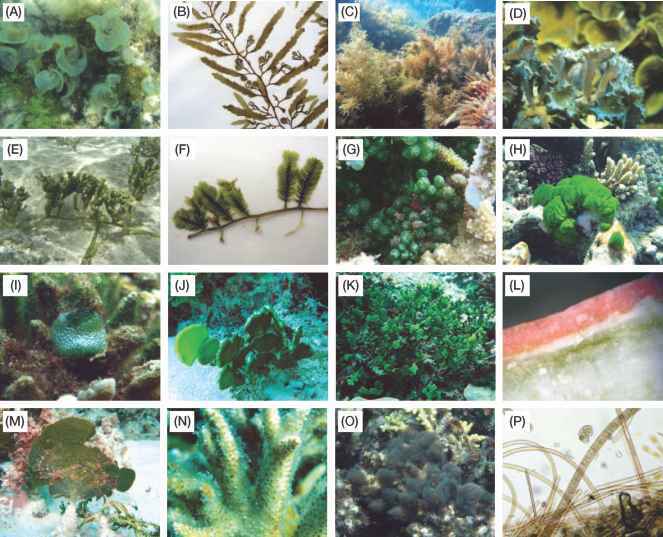 For most of the GBR species, life cycles are largely assumed through knowledge of closely related species from other regions (Figs 18.10, 18.11). 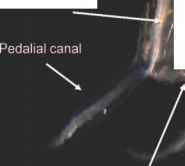 The life cycle of most ctenophores remains unknown, but most are thought to be simultaneous hermaphrodites, bearing both sperm and eggs at the same time. Ctenophores lack a polyp stage, and instead develop directly from the fertilised egg into a larva. Cten-ophores often occur in dense aggregations, which may facilitate external fertilisation. Most ctenophores are carnivorous, and like their cnidarian cousins, may decimate available food sources.